Han Kloosterman, a wonderful gentleman catastrophist in the Netherlands, has shared an all too typical story with the Tusk revealing the enormous challenge of investigating the Younger Dryas Boundary hypothesis. Han has long advertised the special nature of the “Usselo Boundary,” a Younger Dryas strata found in the shallow soils of the Netherlands. The layer is the Northern European analogy to the layer so well documented by Dr. Allen West, Vance Haynes and others in North America at the same time. It’s the Black Mat in clogs. It is hard to overestimate the importance of open-minded, collegial and cooperative treatment of the data concerning such an interesting geological phenomenon. No single researcher will identify every site personally. Those who collect info should share the location (this is not archeology or treasure hunting) and give some general field guidance to others who care to follow up. As you can read below, Han made a simple request of the Journal and the author. He got The Heisman. Beat it. Leave the temple — fool. This kind of treatment disturbs the Tusk. It would be so much easier for all involved if people just acted with some class. But no. They put up barriers, play hide the pea, and generally do violence (usually privately and off-line from the literature) to the scientific method. The following happened in Holland recently (March 2011) and seems well worth reporting because it stands symbol for the cavalier attitude and behaviour of so many members of the academic establishment. That means that I am not attacking personally Ward Koster, the bad guy of this story, for he is insignificant – but the case is relevant to a problem that is most certainly of importance, to wit the treatment which the proponents of a new paradigm receive from those of the old one, and who continue in power at the universities. 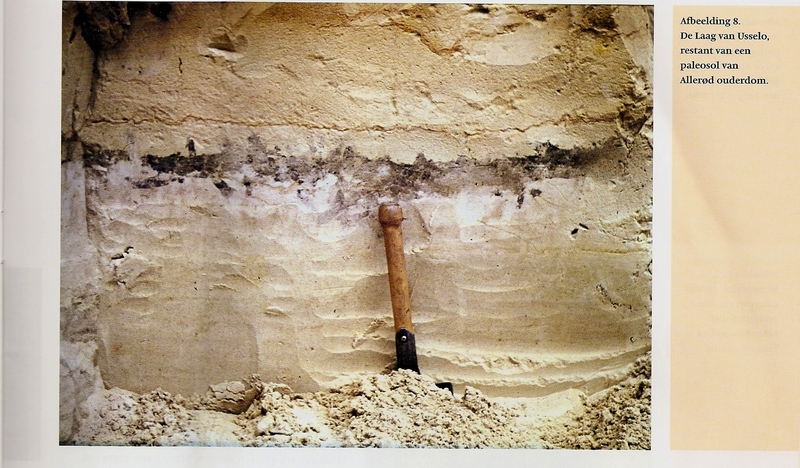 In the 2011/1 issue of ‘Grondboor en Hamer’ (Grounddrill and Hammer), periodical of the Nederlandse Geologische Vereniging (association of amateur geologists) appeared an article on the Late Pleistocene geology of the Lochem region, some 130kms E of Amsterdam. Included in the article is a good picture of the Usselo Layer (Laag van Usselo), without a good scale, and without mention of coordinates, date and photographer. 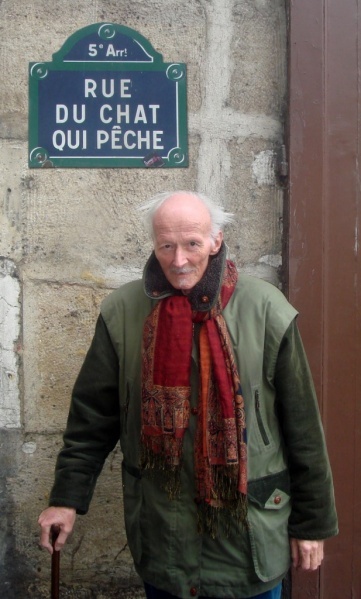 Koster is emeritus professor of physical geography, Utrecht U., so he is supposed to know the rules. I asked him per e-mail for his source, and whether the exposure is still open, and received a most unsatisfactory answer. The picture was not recent at all, he wrote, and the exposure not open anymore. And that was all. When I insisted (still quite politely), he asked me information about my person, and what I intended to do with the info he might provide. I pointed out to him – this time somewhat less politely – that in my world ANY reader of a scientific journal has a right to know the sources of the information in the article, and that I couldn’t possibly know what I wanted to do with the information before I had received it. End of e-mail exchange. I sent then an e-mail to de Boer, editor-in-chief of Grondboor en Hamer, who answered me that text and illustrations are the exclusive responsability of the author of an article. End of e-mail exchange.